I love teaching memory verses to my kids; they honestly can put a song to any memory verse. 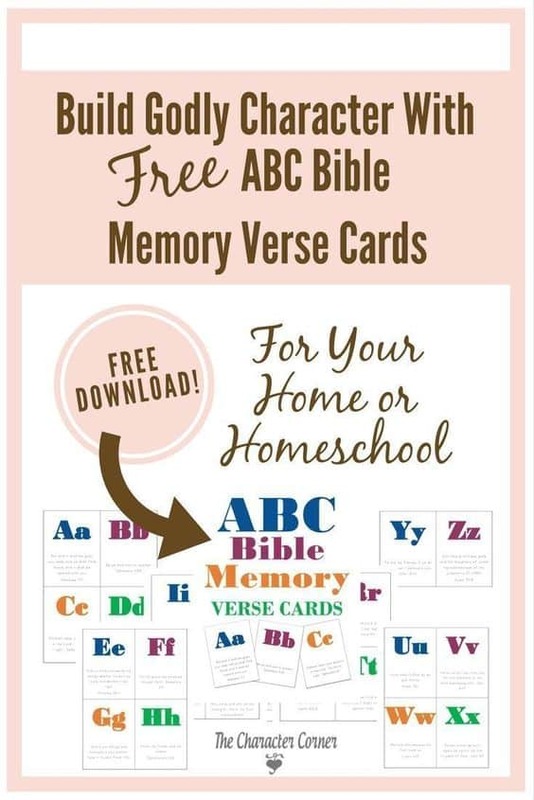 Add these free ABC Bible Memory Verse Cards to your lessons for teaching teach God’s word to your children or Sunday school. I like that this freebie comes with verses in alphabetical order, as it will work well with homeschoolers learning to spell and use their ABCs. Click here for your free abc bible memory verse cards from The Character Corner.